A video showing the smoke trail from the #Meteor over the Bering Strait last December, produced using data from @JMA_kishou's #Himawari satellite. The eclipse today was visible from Regina, but not the totality available to Americans in many states. My new Canon SX540 HS did a good job with a pair of solar eclipse filter glasses taped over the lens. 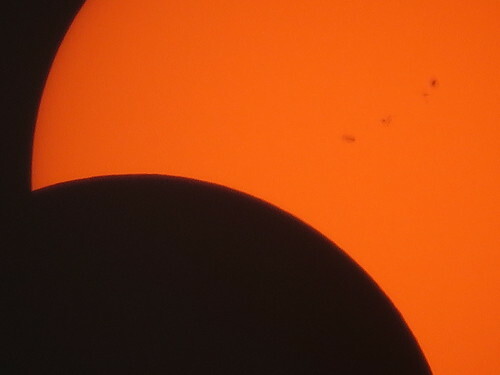 The sunspot chain was very sharp and visible at 200X digital zoom, 80ISO. 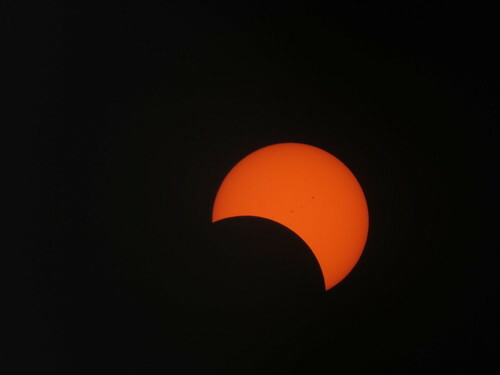 ADDED: Here’s 2012’s annular eclipse in Regina. Jupiter is approximately 5.2 AU from our Sun, so almost 20 AU is pretty distant. Have a look at what Mars would look like if it had a proper weather satellite. It’s done in the style of a fiction/action movie trailer, but this is for real. One of the early results is this compressed/shifted audio depiction of aurora on Jupiter. Rockets that land are a new thing, so it’s probably a minor oversight. No one was hurt in the blast. It’s hard to reuse a rocket that lands, if it then explodes. Some of these items found in Armstrong’s closet, were to be abandoned on the surface of the Moon. More than four decades after the Apollo 11 moon landing, a cloth bag full of souvenirs brought back by astronaut Neil Armstrong has come to light. Among the trove: a 16 mm movie camera from inside the lunar module that filmed its descent to the moon and Armstrong’s first steps on the lunar surface in 1969. That camera “took one of the most significant sets of images in the 20th century,” said Allan Needell, a curator in space history at the National Air and Space Museum.